A holiday is a time to get away from the pace and routine of our normal lives; a time to kick back , reflect & renew. 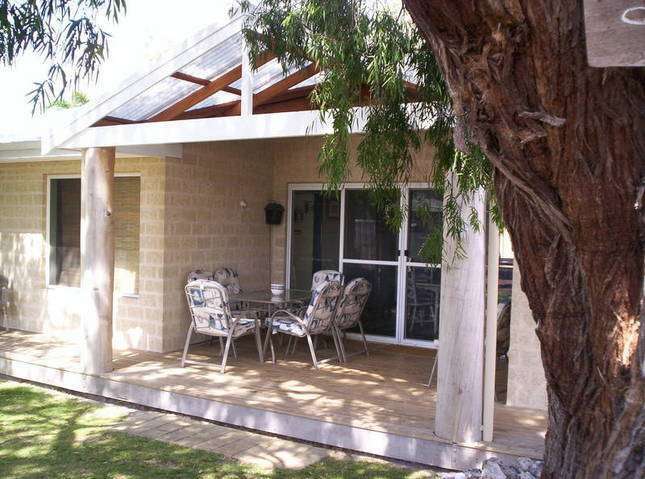 Come and enjoy the relaxing pace of the beautiful coastal town, Busselton. 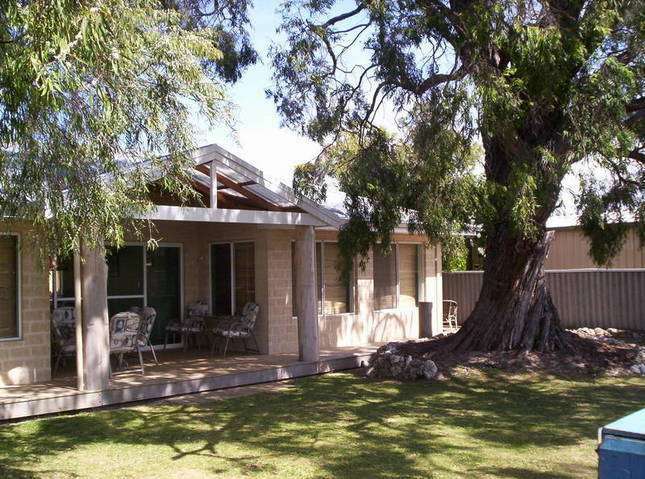 Quiet, secluded and surrounded by shady peppermint trees, Driftwood Cottage is a non-smoking, family owned self-care holiday house right in town. Located in quiet Gale Street, an easy 250m stroll brings you to the safe white beaches of Geographe Bay or to the main shopping precinct. Sorry, but the cottage is not available for LEAVERS. Explore..........Walk to the jetty for fishing, a beautiful sunset photograph, or the best fish and chips in the South west. Ride your bikes on safe, flat, dual-purpose paths along the coast to favourite swimming and lunch spots. Busselton is also surrounded by many close attractions including world-renowned wineries with first class cafes & restaurants, art & craft galleries, caves, epic surfing and, of course, those special tranquil beaches and rugged coastline scenes..........or just relax..........Driftwood Cottage has three bedrooms, a modern kitchen, comfy lounge, two bathrooms, a huge bubbly spa bath, and outside BBQ. 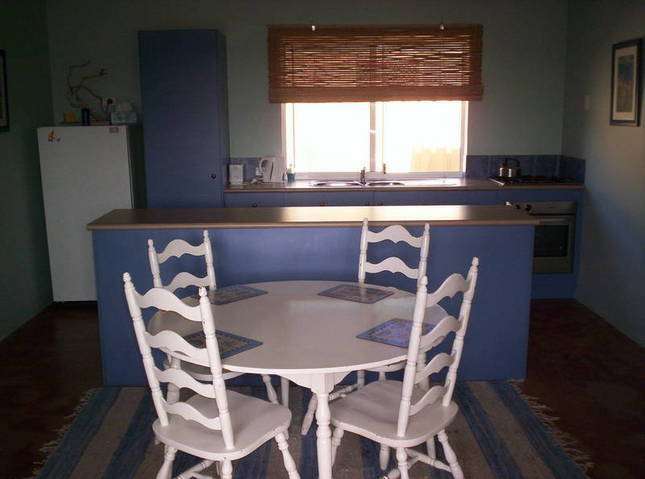 The kitchen and dining room opens onto a private alfresco area under the shade of large peppermint trees. Insulated, air-conditioned and fully self contained, it has all mod cons including TV, DVD and CD Player to make you feel at home. Compact enough for a romantic getaway, yet large enough to cater for the family holiday, Driftwood Cottage offers the best of both worlds. 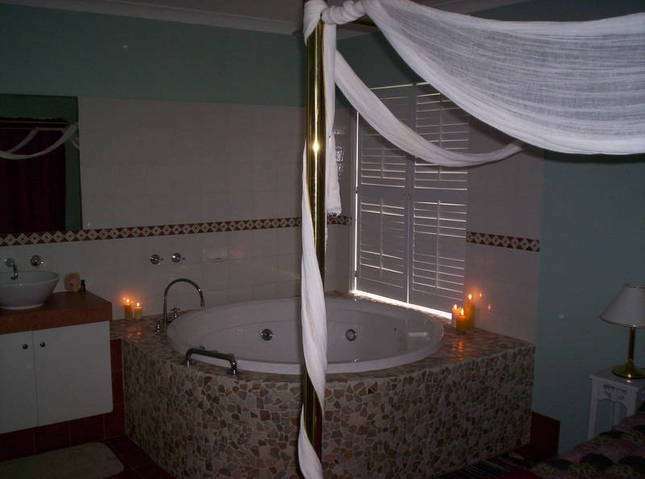 The main bedroom features a queen size four poster brass bed, private toilet and big spacious spa. The second bedroom has a double bed, the third has a double bunk, a single bunk and spare mattresses. All beds have mattress protectors, pillows, and comforters. Simply bring your sheets or sleeping bags, pillow cases, towels & tea towels, and just leave the cottage clean and tidy when you go. Your dog is welcome too... we have a large kennel outside, a dog bed and a fully enclosed yard to keep Fido happy. If you like the sound of a simple get-away-from-it-all break, then give us a call.